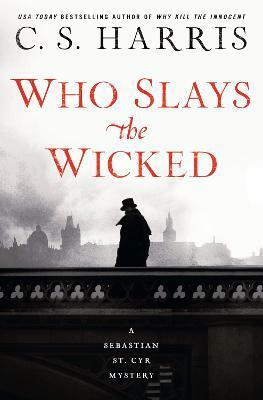 The death of a fiendish nobleman strikes close to home as Sebastian St. Cyr is tasked with finding the killer to save his young cousin from persecution in this riveting new historical mystery from the USA Today bestselling author of Why Kill the Innocent.... When the handsome but dissolute young gentleman Lord Ashworth is found brutally murdered, Sebastian St. Cyr, Viscount Devlin, is called in by Bow Street magistrate Sir Henry Lovejoy to help catch the killer. Just seven months before, Sebastian had suspected Ashworth of aiding one of his longtime friends and companions in the kidnapping and murder of a string of vulnerable street children. But Sebastian was never able to prove Ashworth's complicity. Nor was he able to prevent his troubled, headstrong young niece Stephanie from entering into a disastrous marriage with the dangerous nobleman. Stephanie has survived the difficult birth of twin sons. But Sebastian soon discovers that her marriage has quickly degenerated into a sham. Ashworth abandoned his pregnant bride at his father's Park Street mansion and has continued living an essentially bachelor existence. And mounting evidence--ranging from a small bloody handprint to a woman's silk stocking--suggests that Ashworth's killer was a woman. Sebastian is tasked with unraveling the shocking nest of secrets surrounding Ashworth's life to keep Stephanie from being punished for his death.